Probably one of the busiest interlockings in the world, as well as one of the most famous, Zoo Interlocking is where electrified lines of the Pennsylvania from New York City, Harrisburg, and Washington sort themselves out. Looking south from the rear of Amtrak's eastbound National Limited (about twelve hours behind schedule on this occasion), tracks to the extreme left lead to Philadelphia's 30th Street Station, the next set are the southbound mains to Washington, D.C., with the lines passing just to the left of the tower used for commuter trains (today operated by SEPTA). 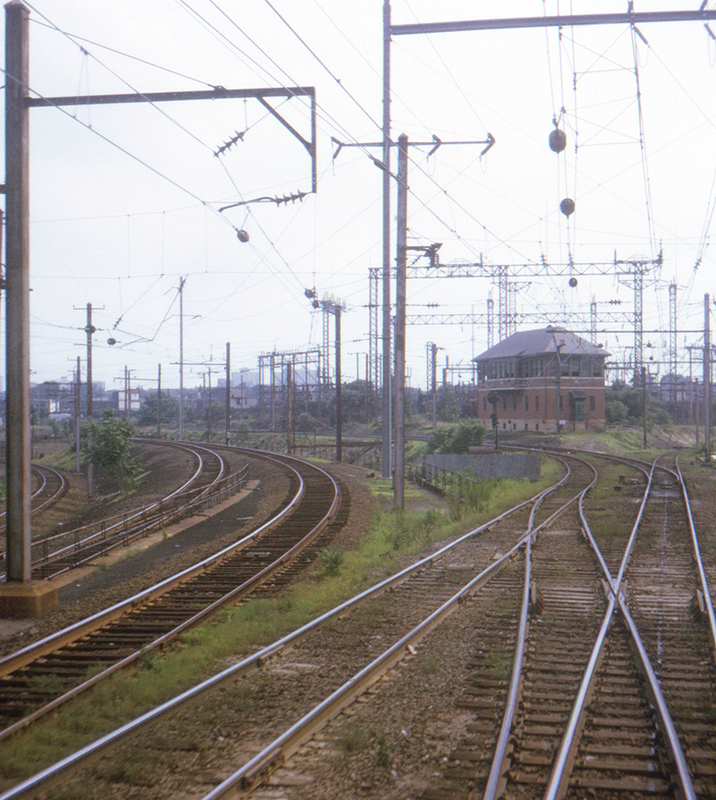 The tracks at the extreme right lead to Harrisburg. Incidentally the Philadelphia Zoo, from which the interlocking gets its name, is just out of sight to the far left, nestled within the sweeping curve. This page posted 11/1/2017; revised 3/1/2019. Text and photo ©2017 Lamont Downs.